We do post a lot of deals which might only be known, if you subscribe and receive our weekly newsletter. SUBSCRIBE NOW. You may save up to 30% off or more, which may help you immensely. Hence do go on Facebook, Twitter and follow us updates to stay on top of all the deals that are being offered. How do I contact a TripLow consultant? You can call our toll free number locally or internationally at 1-877- 220 -5003 or email us at info@triplow.comfor assistance onyour reservation. TripLow’ s customer service team is available by email 24/7. Is my reservation confirmed when I buy online? Yes, your reservation is confirmed once you purchase your ticket at www.triplow.comand when you have received your e-ticket from us, which will be sent to your email usually on the same day of purchase. For special circumstances such quality control or credit card issues or any airline system issues, our consulting team will contact you. Can I waitlist a reservation online? No you may not waitlist a reservation on www.triplow.com. However, you may get help through one of our travel consultants by calling our sales office. I purchased a ticket from a travel agent in your office. Can I review the booking online? Yes, you can look up online reservations made by one of our travel agents by going onto our website at www.triplow.com in the “my itinerary” section. Simply enter your booking reference number or passenger last name and all the detailed information will pull up. How do I review confirmation of my reservation and Ticketing? After purchasing your ticket online, you will receive a 6 digit booking reference code (made of letters and numbers or letters only). You can monitor the progress of your request by looking at the “my itinerary” section by entering the booking reference code or the passengers last name. Once we have received your order, we will do a quality control check by confirming the reservation and credit card information. Once everything is verified, we will then issue your ticket. Once issued, you will receive a second and final email confirming your request. If you do not receive a final confirmation within 24 hours please contact us directly. In some cases, it may be that your email server has blocked it as possible spam. Please take a moment to check your spam/junk folder. To which destinations can I make online bookings ? How far in advance can I book a flight online? Online reservations can be made at least 24 hours and up to 11 months prior to departure. Please contact our call centre if you have any questions on complex trips. How can I check availability, fare and taxes without entering my credit card details? By searching the specific route of your flight online, you can check its availability, fare and taxes. How many flight segments or cities can I book in one itinerary when booking an online ticket? How can I view the fare rules, terms and conditions online? On the pricing page on www.triplow.com, the general rules have been written. After purchasing your ticket, you will be provided an email with detailed information through your e-ticket/invoice. If you would like detailed fare rules please contact us through email. What time should I arrive at the airport for check-in? For international flights, it is recommended to arrive at the airport and check in at least three hours before the scheduled departure time of your flight. For domestic flights, 2 hours before departure is highly recommended. What should I do if I do not understand the fare rules and condition? Please email us at info@triplow.com if you need further assistance on the rules and conditions. Can I have information about Infant discounts? Each airlines rules vary. On most airlines Infants before the age of 2 have a 90% discount plus tax (Lower Tax) without seat based on adult fare. Some airlines may either have more or less or no discount at all. Please check online for more info. What are the rules on unaccompanied minors traveling alone (Child below the age of 16)? Airline regulations prohibit us from holding any clients reservations. To ensure you receive the discounted fare, the ticket must be purchased immediately as the airfare can expire and is not guaranteed until the reservation is confirmed and ticketed. In special circumstances you can contact us through email at info@triplow.com. What if I typed in the wrong information in my booking? Date, time, airport?In most cases airlines allow us to make changed on the date and times of reservations. Please contact us immediately so we can look for a solution by email at info@triplow.com. Our help desk will check the airlines penalties and rules for your specific ticket. What if I typed the wrong name? Names can never be changed or altered for any reason. You may contact us by email at info@triplow.com and our help desk will check with the airline if any modifications or alternative solutions can be made. You can call our toll free number locally or internationally at 1-877- 220 -5003 or email us at info@triplow.com for assistance on your reservation. TripLow’ s customer service team is available by email 24/7. What does “class” stand for? And what are the reasons for class differences? Class represents the reserved capacity groups for the various fares categorized by ticket rules and conditions such as minimum travel time in destination, purchasing time of the ticket, price of the ticket, change and cancellation fees etc. These classes however, have no difference in the cabin, service or seat quality during the flight. *This is different than i.e economy class and/or business class differentiations. It is simply the distinction between different seats in each cabin. Yes, your reservation is confirmed once you purchase your ticket at www.triplow.com and when you have received your e-ticket from us, which will be sent to your email usually on the same day of purchase. For special circumstances such quality control or credit card issues or any airline system issues, our consulting team will contact you. What is a code-share flight or operated flight by another Airline? Will I be notified in case my flight is schedule changed or cancelled? Your flight may only be changed or rescheduled by the airline. In these circumstances, the airline or TripLow will contact you with the email you had provided during the time of purchase to advise you of the changed and offer alternative flights if possible. We do strongly recommend our clients to check their flights’ status 72 hours before departure for any last minute schedule changes. If adding any additional passengers need to be added to an existing reservation, please contact our customer service team by email at info@triplow.com for assistance. We will do our best to add passengers to the flight. Why did I receive an error when trying to book? If you received an error message it means that the airline is unable to confirm the requested flight at the fare listed as the airline inventory changes frequently. Refresh your browser or you can try an alternative day or airline or you can also give us a call and we can book for you. How do I select my seat during the online booking process? These days some airlines seat selection should be purchased. You can try online or give us call we can purchase for you. With the exception of domestic economy cabins and some specific airlines, you can usually select your seat according to your own preferences when you purchase your ticket 24 hours before departure at check-in time. Some airlines only allow seat selection at the airport before departure. We recommend arriving at the airport check-in 3-4 hours before your international flight departure time or 3 hours before domestic departure time to have a wider selection of seat choices. Some airlines accept assigning seats through direct phone calls with them with your e-ticket number. I booked online yesterday. Can I review my online reservation today? You can look up your existing reservation details by entering your booking reference number and the passengers last name at the “My itinerary” section at triplow.com. It is highly recommended to check your flight 72 hours before departure in both directions of travel for any possible schedule changes. You can do this by going over to our website at www.triplow.com and choosing the “My itinerary” option. Enter your booking reference number and the passenger’s last name to verify if your flight’s itinerary, date and time is still valid and the same. You can also check airline website or contact the airline directly to confirm your flight. if any problems do arise, please contact the airline or our call centre for further assistance. This means that the passenger was not able to get on board their flight due to missing their flight, invalid travel documents or security issues or not check-in or showing on time prior to departure. We recommend to show up in airline counter at least 2 hours before departure for domestic flights and at least 3 hours before departure for international flights. You can make online bookings at www.triplow.com to worldwide destinations with over 120 airlines for direct or connecting flights. If I am looking for availability on a particular day and there is no availability, will I be offered an alternative date? You can select the (+/- 3 day) during your search to be provided with more chances of availability. This option will display a total of 7 days of flight options per direction. Please contact us directly at info@triplow.com if you have any further questions. How many passengers can I book online in one itinerary? You can book up to 6 passengers (adult or children) in one reservation. Please email us if you will be travelling with more than 6 passengers. Can I purchase an online ticket for someone other than myself? Yes, you can purchase a ticket for another passenger. However, if the credit card holder is not the passenger, the card holder must sign the credit card authorization for and email a scanned copy of their credit card (back and front) and their driver’s license. We will issue the ticket after we’ve confirmed the credit card with their bank. Why are there available seats for a higher fare and not available seats for the low fare on the flights and airline I prefer? Although there are no differences in service or seat quality for the same airplane cabin, different fares are applied on flights based on ticket rules and conditions, such as minimum stay time in the destination, time of purchase, ticket price and change/cancellation fees. Various capacities for each class can be reserved of these differentiated fares according to the statistics of the tickets. The tickets for any of the class fares, especially lower ones may sell out at any time due to high demand. However there may be available seats in the other classes on the same airline for a higher fare. Why is a flight or fare shown yesterday and then not available today, when I attempt to book it? The airline inventory changes and fluctuates frequently ae based on inventory and availability, which effect airfares. Also it’s possible that from the time that you first select the flight option until you confirm the reservation that there is a revision in the fares which will not allow you to complete your reservation. You should book your ticket right away as soon as you like the fare. Please email us at info@triplow.com if you have any further questions. Does TripLow have special offers? I checked TripLow, there were cheap fares yesterday or few days ago, but it is more expensive today. Why? Special fares have a limited availability due to high demand. If all the seats reserved to special fares are sold out you can no longer book it at that price, but can book it at a higher fare. We always recommend buying the cheaper fare immediately, because there is a chance of losing the special offer fast. Also our booking engine automatically checks the availability of each class in regards to the best and lowest fares. So, while you may have searching the cheapest economy fare, if the lowest is unavailable anymore, the booking engine will offer higher fares according to availability. Why can the fare for a particular flight change from one day to the next day? Specific fares are seasonal therefore only valid at certain periods of time. We always recommend buying the cheap fare immediately before it sells out. Cheaper fares are based on airline inventories and availability and are on a first come first serve basis. Therefore inventory may change day to day. Can you send me information about special fares, seat sales? Yes. Please enter your email and other personal information in the “newsletter and promotions” section on our website. By doing so, we will be able to send you weekly domestic and international promotions and seat sales from major airlines to worldwide destinations. 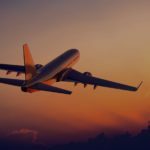 Why do I get different airline prices for my trip? On our online search engine, hundreds of fares with a variety of airlines, routes and pricing will be displayed based on their availability, according to your itinerary and dates with the competitive price. What is the age and discount percentage for children? A passenger is considered a child if he/she is between the ages of 2 and 11 on the date of departure (children who have reached their 2nd birthday but not their 12th birthday). Most airlines discount children 25% off the adult fare plus tax. Taxes for children exist at the same price for adults. Please be advised that airline staff verify children’s age at check-in time at the airport. Can I book a child online whose traveling alone? A child is considered an infant from 0-24 months. You may travel with your infant on your lap during the duration of the flight, but a separate ticket is required for every infant whether it’s in the guardians lap or a separate seat. Depending on the destination, Airline may provide a discounted fare for your toddler. When an adults is travelling with 2 infants, they may only hold ONE infant. An additional seat at the adult fare must be purchased for the second infant and may require another adult. You may be required to provide a proof of parent and guardian (i.e. birth certificate or passport) at the airport for any children. Please contact the airlines website for their specific rules and regulations regarding child safety seats, stroller and bassinet information. What should I do, I have a baggage to be checked-in. Passengers without baggage can proceed directly to the boarding gate with their boarding passes provided in the self-check-in kiosk. Passengers with baggage can go directly to their airline counter or airlines dedicated bag drop. When packing, please remember that new airline carry-on rules allow for only one standard size carry-on bag and one personal item such as a purse, laptop computer, small book-type backpack or briefcase. The airport security requests that travelers do not lock their checked luggage. If your bag is locked and there is a need to inspect the bag, the locks will be removed by security. Airports security rules require passengers who have checked-in to fly on the same flight as their checked bags. If you are checking your bags, be sure your name and contact information is on the outside and inside of each bag. If you’re checking bags for a domestic flight, you should arrive at the airport at least two hours before departure. If you only have carry-on luggage, plan to arrive 90 minutes before departure. For international flights, it’s recommended that you arrive at least three (3) hours before departure. Please do not forget your identification card and your passports. Have your government-issued photo ID, boarding pass, passport and printed itinerary (if you’re travelling with an electric ticket) and passport available at all times. It is advised that you reconfirm your flights at least 72hrs prior to departure directly with the airline to ensure that no last minute schedule changes have occurred. This can also be done by going to our website and choosing the “My itinerary” option. Enter your booking reference number and your last name to check if your itinerary, date and time of your flight is still valid, or if there has been any schedule changes. You can also contact the airline to confirm your flight. If any problems arise contact the airline or call our office as soon as possible to solve the problem. Yes, Online check-in is a service that airlines provide which allows passengers with an e-ticket to check in online before going to the airport. This can be done through the specific airlines online check-in website. Some airlines may allow online check-in and printing of your boarding pass of up to 24 hours in advance. You may need to go to the airlines website for online/advance check-in. What is the earliest and latest time for online check-in? Passengers can check-in and select their seats from 24 hours up until a few hours prior to the departure time according to the airline online facility and through the airlines online check-in website. Sometimes you may not be able to check-in online. Thus you need to check-in in the airport. What is considered a group reservation? Reservations consisting of 10 or more passengers are handled as group reservations. However airlines may have different policies and prices. Please email us for detail information and best prices. Yes, we do offer group reservations. Just email us at info@triplow.com. We also offer benefits and specials to groups over a certain number of people. Unfortunately we are unable to accept vouchers or coupons as partial or full payments towards the purchase of an airline ticket. Coupon and voucher matters are suggested to be contacted through the issuing airline directly. After confirming and verifying the reservation details, your credit card will be charged accordingly. I am trying to book a flight online, but my credit card was refused. Why? There are many reasons why a credit card will be denied. Some reasons include: incorrect card number, expiration date or CVV code, insufficient funds, low daily spending limit, failed billing address, or verification and internet fraud screening. Please note that in most cases the airline will only allow the ticketing on the same day before the fare expires and the reservation is cancelled. You will also be notified if your card is declined during the ticketing process and you will have to contact your credit card company to clear up the problem. Once the issue is resolved, you can contact us to reissue your ticket, if the fare is still available. We accept credit card, debit/visa, e-transfer and cash, PayPal; but the accepted form of payment for online purchased must be a valid US or Canadian credit or debit/visa card. You may also e-transfer or send a direct deposit. We also accept payment via PayPal and Western Union. Please contact us for more information and options. Debit/Visa card may be used but are usually subject to low daily spending limits, which may cause the payment process to be rejected. We accept the following types of major credit cards: American Express, Visa, Debit-Visa and MasterCard. To complete the purchasing process you must enter your credit card information and have it verified before the ticket is issued. If the entered information is invalid, then a general error will show up on the screen. If there are any problems please call us at 1-877-220-5003 or by email at info@triplow.com and provide the correct credit card information. Please be aware that we have no control over the airlines taking their seats back for inventory purposes from an un-ticketed reservation without notice. Most credit card declines are the result of inaccurate information being entered into the website payment page, i.e. wrong digits, billing address or card holder name. Which credit cards do you accept for payment online? Only Visa, MasterCard, American Express, Diners Club and Debit-Visa are accepted. If you would like you may also e-transfer your payment. Can I pay for the ticket with a Debit card (Debit Visa)? Yes, we do accept Debit/Visa cards with Visa logos on them. Debit cards (Debit Visa) normally have a lower daily spending limit which can cause complications when purchasing an airline ticket online. Please be advised you will be responsible for contacting your bank to clear up any problems. The airlines have the right to decline the fare and cancel the reservation when full payment is not received. In Some cases the debit visa has service fee. Are prices in Canadian or US Dollars? By default, the Canadian page will be opened and all prices are in CAD. However, if you select the U.S flag on the top right corner of our website, you may view our U.S page and prices will be shown in USD. We distinguished the Canadian and U.S pages and fares to offer better deals based on each region for more local and competitive rates. If you find a better deal on the Canadian page or vice versa, the amount will be converted to CAD which is how it will appear on your billing statements. Since the currency exchange rate is based on your credit card company’s conversion at the time your payment is processed, your final amount may vary. I have a non US, non-Canadian credit card, can I use it? Unfortunately, TripLow can only accept U.S or Canadian cards. However we do accept e-transfers, western union and PayPal from around the world. The service charge is the fee taken from the passenger’s part of the tickets issued from TripLow. The service fee could be airline imposed fees, e-ticket change fees, or refund fees based on your request according to your ticket rules. Occasionally, these service fees or airline penalties may be charged in 2 parts based on the airlines change and refund rules and payment policies. In some cases, some airlines fare rules permit no charge to the ticket fees once issued. Accordingly, we have no choice but to charge the total fee in two parts. In this case you may see two charges in your credit card statement. One is under the airline name and the other is under Trip Low. However, your invoice/ticket total is the one you have originally purchased online and has been issued and emailed to you with no extra charge. If the refund is done according to the passengers own request, the whole ticket amount will be refunded minus the refund fee according to the ticket rules. All the service fees and taxes are included in the fare and total amount when searching for a flight on TripLow. You are able to see the “taxes/fees” breakdown in your invoice. All separate amounts that create your final total are charged to your card. Rarely, you may see separate charges on your credit/debit card for special deals and accounting purposes. However, when all charges are summed up they will not exceed the initial total amount that was agreed upon purchase. Occasionally, some airlines fare rules do not permit to charge the fees until the ticket is issued. In these scenarios, we must charge the total in two parts, which will show up as two separate payments on your credit card statement. One will be under the airline name and the other as TripLow, but the total amount is as the original purchase. Can I purchase my ticket through someone else’s credit card? Yes. But we will need a signed copy of the credit card authorization form by the card holder and a copy of his/her credit card/driver’s license. You can e-transfer or pay via PayPal and Western Union to purchase your ticket. Tickets will be issued after confirmation of the total amount’s transfer to TripLow’ s bank account. No problem. Please contact us at info@triplow.com and we will email you another copy of your e-ticket. Once you have completed the online reservation you will instantly receive an email acknowledging your request which will include a booking reference code. If you don’t receive it within few minutes you may have entered your email incorrectly or your email server has routed the email to a spam/junk folder, or it might be a system error. In these cases it is suggested to contact us at info@triplow.com. If you need another copy of your itinerary you can enter your booking reference code by going on our web site in the “MY ITINERARY” tab. Here you will see your detailed itinerary and e-ticket. If you don’t have your booking reference, please contact us directly. All our tickets are issued and given as an electronic ticket. Can I check my baggage to the last destination? Yes, you can check your baggage to your last destination. This can happen if you have a through fare ticket (one ticket all the way). In some other cases, your baggage must be collected at every stop. These cases include: you have a stopover, your final flight to your destination is a domestic local flight, or your final destination is at an international airport with custom checking facilities. Please contact your airlines for more information. You can also ask the airline staff at the airport during your check-in point about the custom regulations of the country of your final destination. What is my free Baggage allowance and Animals? To learn about excess or overload, oversize or more than your free allowance luggage, please contact the airline. What is the guideline for cabin baggage (Carryon baggage)? To learn about cabin baggage (hang baggage that you may take with you on board the aircraft) and policies please contact the airline directly. In most cases though, the airline cabin baggage maximum is usually 5kg and 55 x 40 x 23cm. With prior agreement of the carrier, animals such as dogs and cats, when properly caged and accompanied by valid health and vaccination certificates, entry permits, and other documents required by countries of entry or transit will be accepted for carriage, subject to the Carrier’s Regulations. Please contact the airline directly for more information and arrangements. Can I make changes to a reservation that I have already made on your website? For any adjustments wanting to be made for the reservation made on our website, please contact us at info@triplow.com. Depending on the rules and regulations of the ticket, one of our consultants will explain the changing procedures and rules, such as possible fees or fares. I have purchased a refundable ticket online. How can I obtain a refund? In some cases, special offered a ticket may be non-refundable. You can email us for cancellations and we will check the airline and ticket conditions, penalties and rules for your specific ticket. Ticket rules and conditions are noted in your e-ticket/invoice. If your ticket is refundable, Once you decide to cancel the reservation you are subject to its “Terms and Conditions” of cancellation as stated by its airlines. Refund requests must be made at least 24 hours before departure. How can I view the fare rules? You can view the fare rules on the invoice and e-ticket which is emailed to you. It will outline the important issues and rules about your ticket. What should I do if I do not understand the fare rules? I have purchased a refundable ticket online. How can I refund my ticket? Your refund will be made according to the ticket’s rules, along with any specific penalties. Please contact us directly by email at info@triplow.com for more information. Who will receive the refund? Your refund (minus the refund fee) will be put back on the original credit card which paid for the ticket. Airlines do not permit the refund to be made under any other person, credit card or cash payment. If the original payment was made by cash or e-transfer, TripLow will issue a cheque to the passenger. If the ticket was paid for by a person other than the passenger, we will make a refund cheque to the payee according to the ticket order. If your flight cancellation is due to circumstances beyond its control (i.e airline cancels or delays a flight, is unable to provide previously confirmed space, fails to stop at a passengers stopover or destination point, or causes the passenger to miss a connecting flight which they have a previous reservation for), the airline will provide an alternative option or flight where space is available. They may also reroute the passenger to the destination indicated on the ticket according to their own scheduled services of another airline. Please contact the airline for more information. How do I order a Special meal ? While making your reservation with TripLow online, you will see a section that allows you to request a special meal. This request will be sent to the airline and be requested on all applicable flights. Although we can pass your meal request to all respective airlines, we cannot guarantee that the request will be granted. If you wish to change your meal choice you can contact the airline directly. How do I request a wheelchair ? While making your reservation with TripLow online, you will see a section that allows you to request a wheelchair. This request will be sent to the airline and be requested on all applicable flights. Although we can pass your wheelchair request to all respective airlines, we cannot guarantee that the request will be granted. We recommend to contact airline directly to confirm your wheelchair.